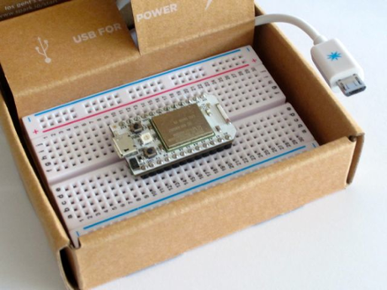 In this Spark Core Tutorial we will connect the Spark core to Ubidots, logging temperature and humidity variables in the cloud. 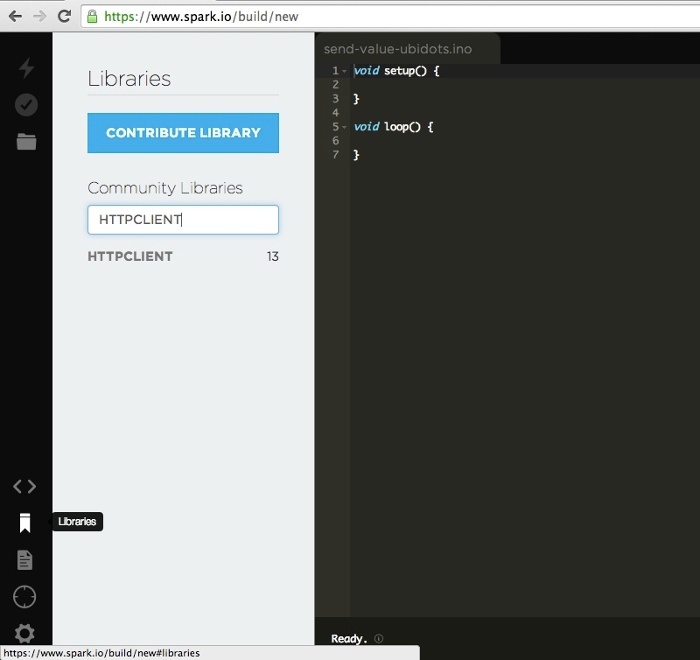 The Spark Core is an open source, cloud-powered development platform. 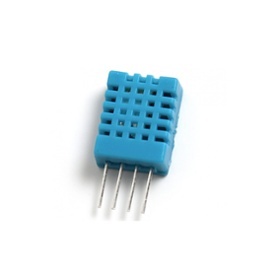 It's tiny but powerful, and it is easy to program because it's Arduino-compatible. Follow the diagram below to setup the hardware. 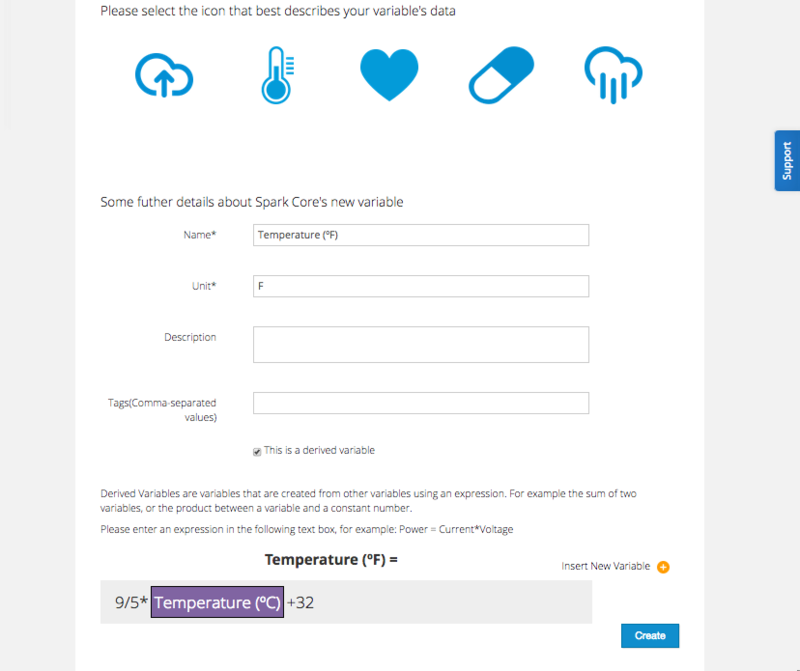 First of all, as a logged user in Ubidots, create a Data Source called "Spark Core" and add two new variables (temperature and humidty) to it. Take note of your token and variable id. 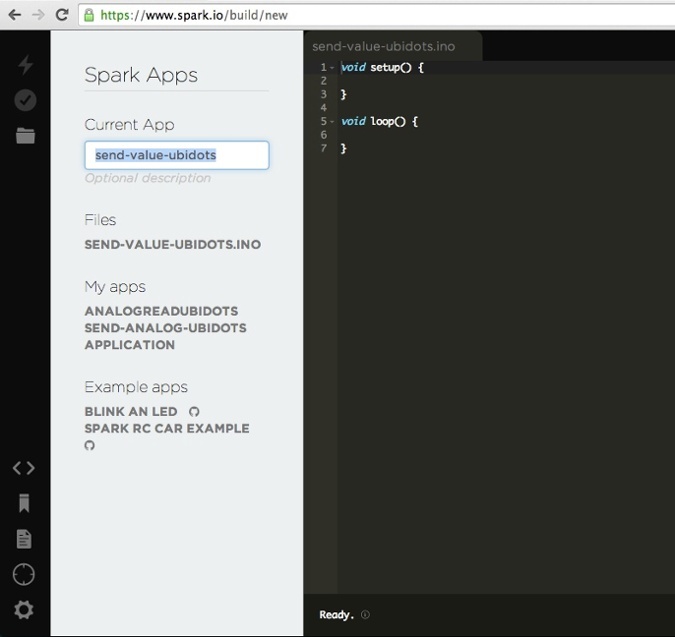 Create a new app called "send-value-ubidots" in the Spark Build IDE. 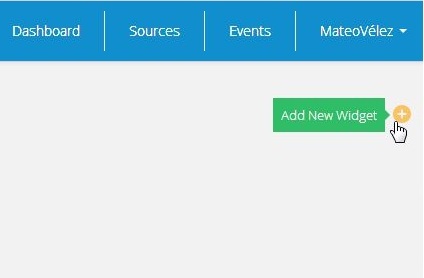 Click again on the Libraries icon. 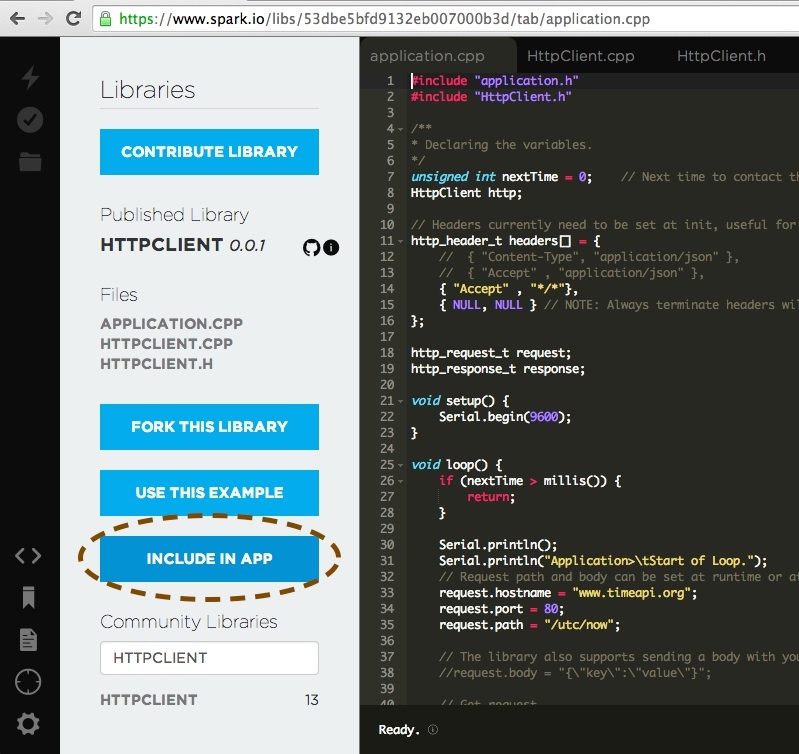 This time look for a library called "Adafruit_dht"
In your dashboard click on "Add New Widget". Add two line charts, choosing temperature and humidity as variables. Click on the share icon and select embed code, then copy the iframe tag. You can paste this in your own web page! One of the nice things about Ubidots is how easy it is to create math formulas to transform the original data into other variables. Pro Tip: This feature is quite useful when calibrating your sensor for a given offset addition or subtraction and re-calibration as needed. 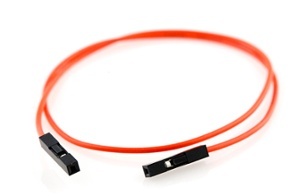 In this post we learn how to connect a Spark core with to Ubidots, Measure physical variables, and sharing your outcomes. 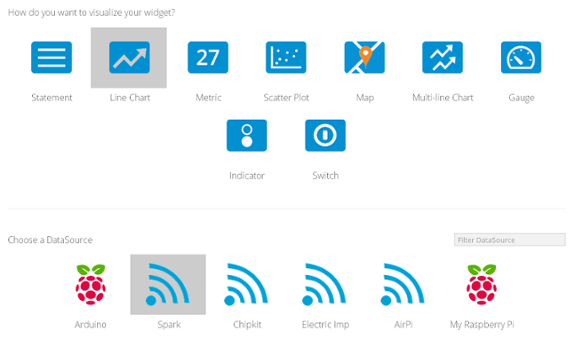 Now you can try another widgets like "metric", "gauge" and "multi-line chart." In just a few steps, you can add nice and clean graphs to your projects. Content originally published in Ubidots Blog on August 8, 2014.